Dear reader so far we learned about exposed aggregate surface finishing for reducing noise from concrete pavement while vehicular traffic move over this pavement. This also provides skid resistance that are reduced by wearing action of tyre treads. This surfacing becomes popular in Belgium, Austria, United Kingdom and many other countries of that continent. We will learn here another method of noise reduction instead of providing any overlay over worn out concrete surface. There is a special grooving technology named concrete grinding and grooving method. This method has been successfully used in United States for many years. Especially in California this method of grooving were provided in many roads and highways. Now we will learn how this technology is applied. In this method a plant that is equipped with saw blades is used. The blades have diamond tip and spaced closely. That provides grooving texture to the concrete pavement. This process of surface restoration is very economical too. This method requires only half of the cost involved in overlaying asphalt over concrete. The section where this method is used, it is found that the treated surface have an improvement of 54% in skid resistance. This method renders a noise reduction of (4-6) dBA in a vehicular traffic moving speed of 50 mph. In a greater vehicular speed this reduction in noise is found even better. 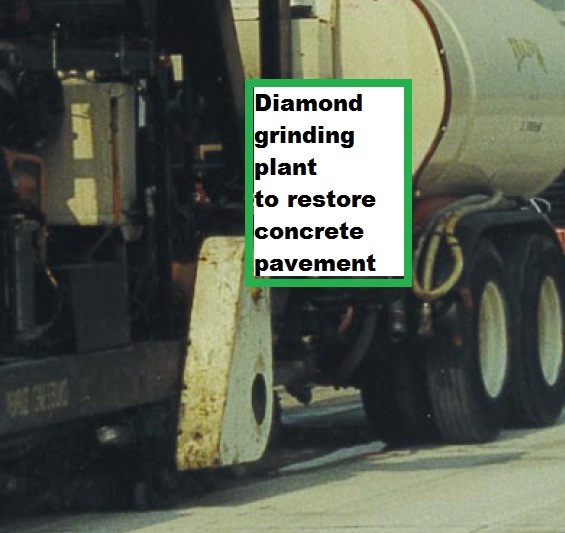 In the next post we will discuss another method of noise reduction in concrete pavement known as CRCP. Please stay till then with us.